In an effort to become even more resourceful when it comes to utilizing anything and everything that crosses my cutting board, I’ve gotten into the habit of making my own stock. Rather than tossing them into the compost bin, I’ve got into the habit of saving all the raw carrot tops, onions skins, celery bits, bell pepper stems, asparagus ends, tomato cores, and etcetera, keeping them in the freezer until a sizable amount has collected. 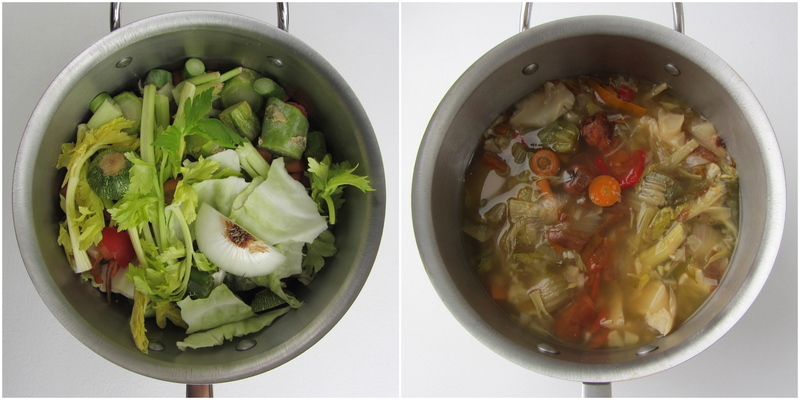 All that’s left then to do is boil it away and voilà: homemade vegetable stock! 1. Place the water into a medium (4-quart) sized pot and then fill to the top with the vegetables. Cover and bring to a boil. 2. Once the stock is boiling, reduce heat to a simmer. Continue to simmer, stirring occasionally until the liquid has reduced by half. Remove from heat, allow to cool. 3. Pass through a fine mesh strainer into a storage container. 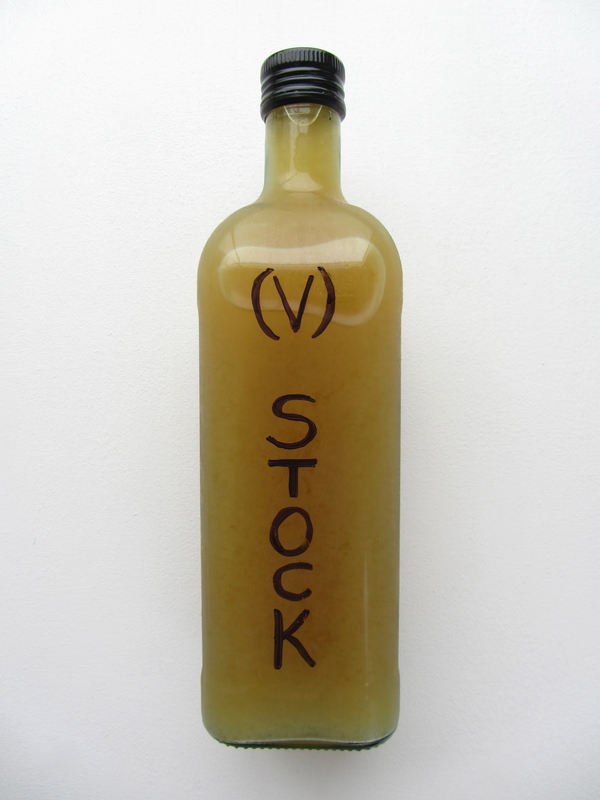 Keeps up to 2 weeks in the refrigerator or freeze for future use. 4. Wasn’t that easy? Now go stockify some stuff!